Fans of Telugu superstar Allu Arjun have a reason to rejoice as the dialogue impact/teaser of his upcoming film Naa Peru Surya Naa Illu India gets a release date. The film, tipped to be a patriotic thriller stars Allu Arjun in the titular role of a short tempered army man Surya. Naa Peru Surya also marks the directorial debut of script writer Vakkantham Vamsi. 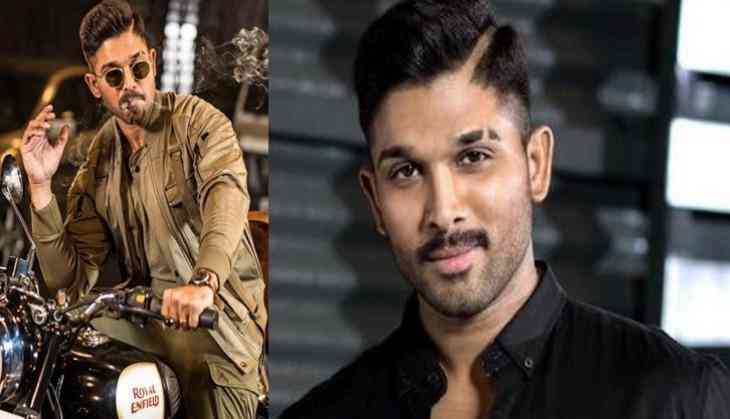 As per the latest Telugu media reports, the teaser of Naa Peru Surya is all set to be revealed on April 8, on the auspicious occasion of Allu Arjun's 35th birthday. Reportedly, the teaser, which is said to be a dialogue impact will give us a glimpse of what Naa Peru Surya film will be all about. The makers have already started releasing posters and stills from the film on a regular basis, which have started doing the rounds on social media with each passing days. Produced Lagadapati Sridhar, Naa Peru Surya stars Anu Emmanuel of Pawan Kalyan's Agnyaathavasi fame as the female lead. The film will have cinematography by national award winning cinematographer Rajeev Ravi and Bollywood composers Vishal-Shekhar as the music composers of the film. Naa Peru Surya is scheduled to hit the screens worldwide on May 4.